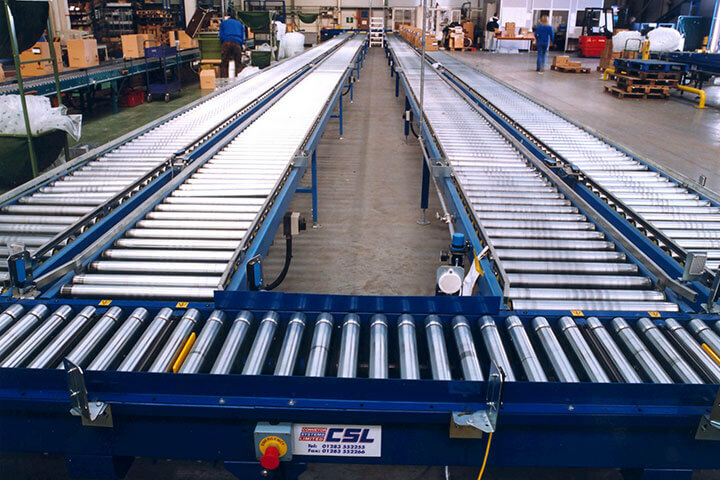 CSL offer a wide range of gravity and powered roller conveyors manufactured from mild and stainless steel to suit customers individual requirement. 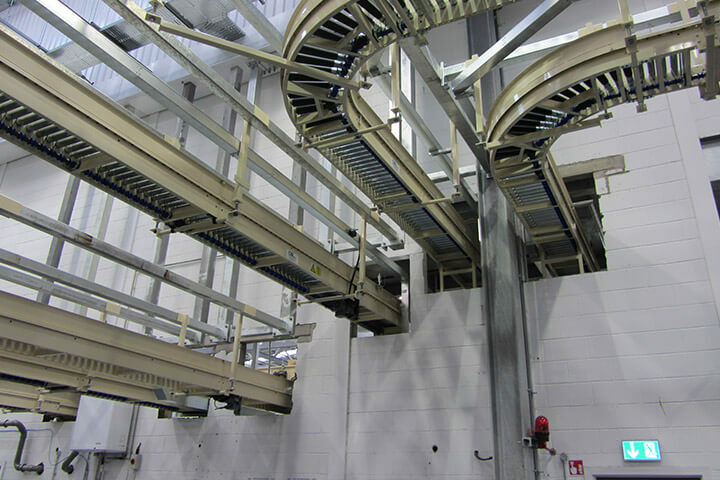 The modular design allows for cost effective integration of units to create highly efficient and adaptable handling systems. 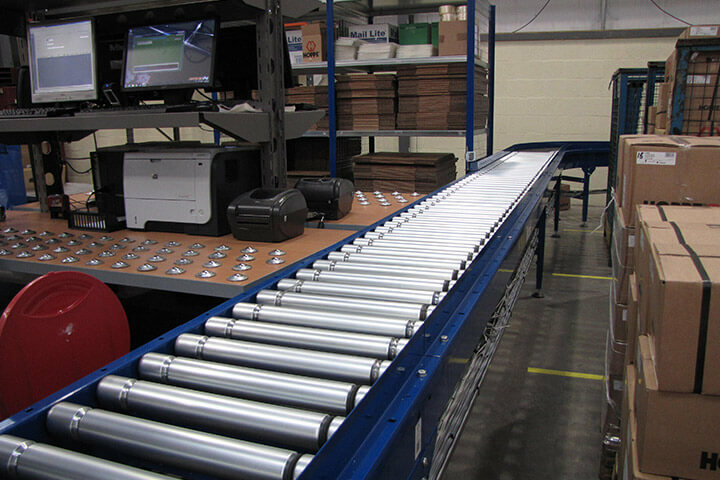 Powered lineshaft roller conveyors are used in a wide range of automated handling installations such as feeding product to an assembly, packaging station or machinery; sortation systems; order picking through to dispatch, etc. 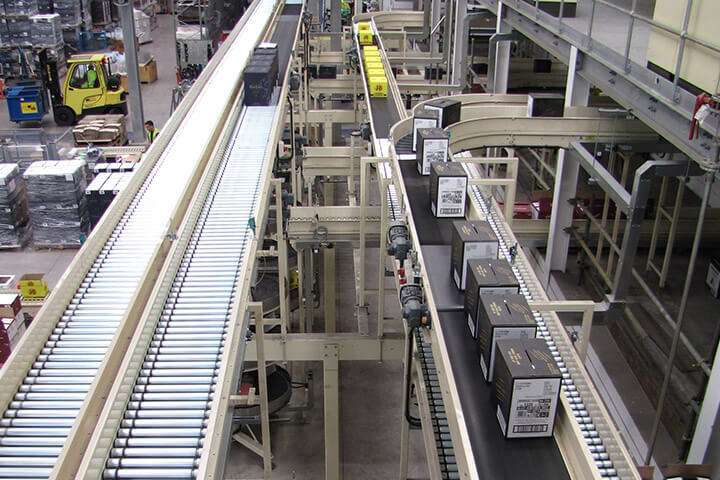 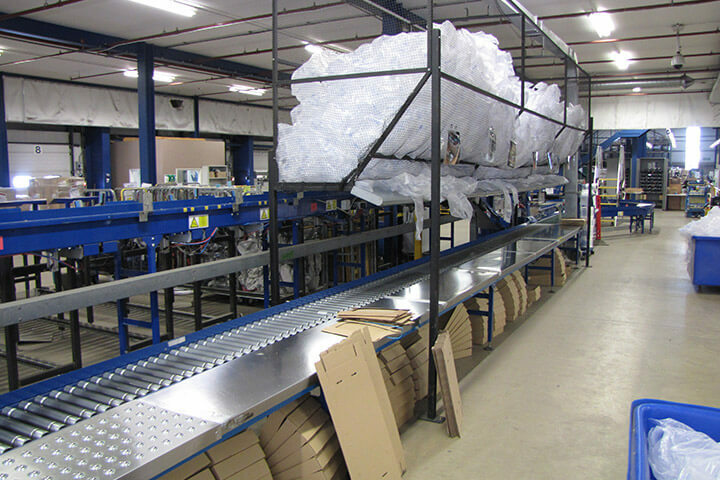 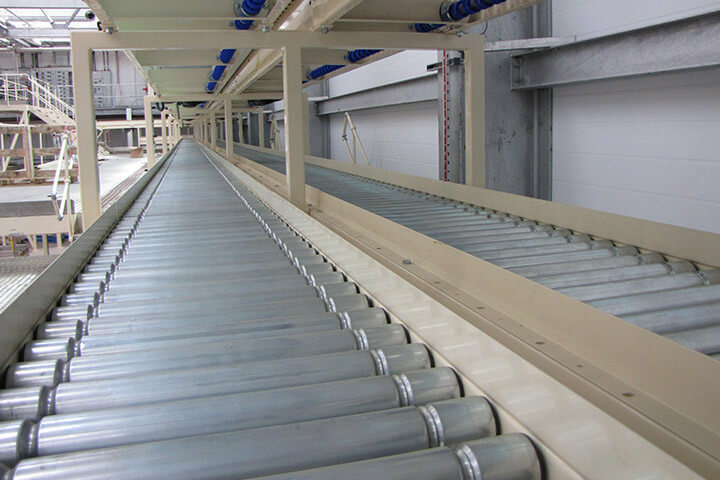 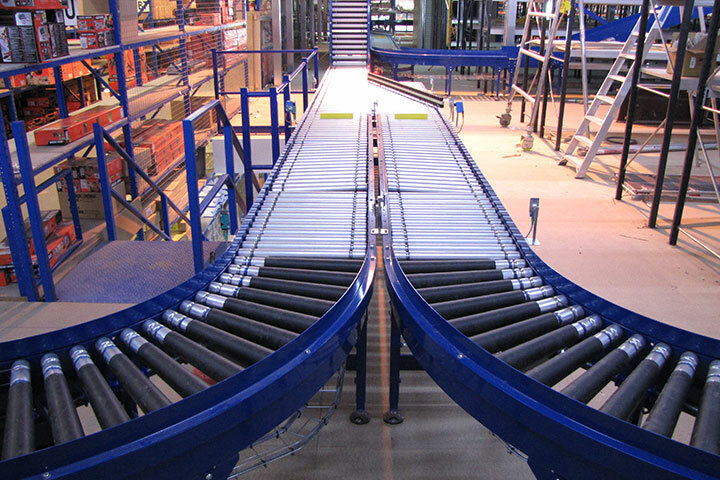 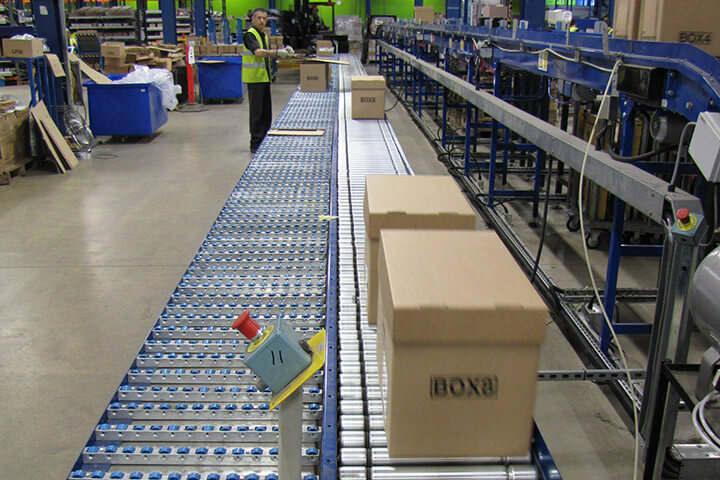 Roller Conveyors are ideal for tote handing, case handling and carton handling etc. 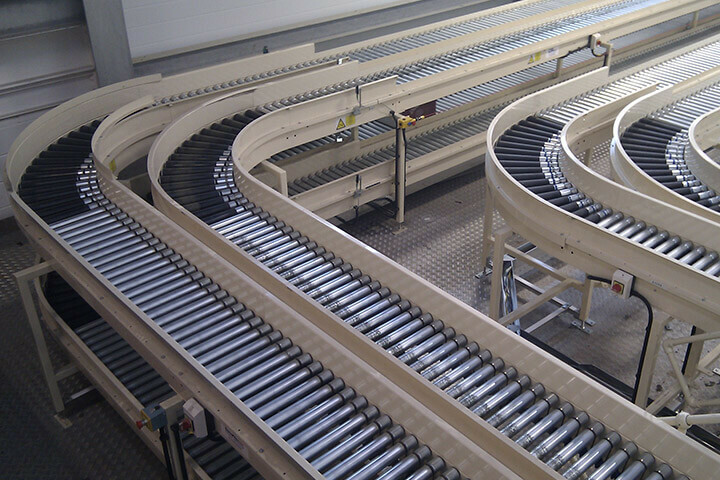 A cost effective transit conveyor powered by a powerful SEW motor gearbox transfering drive using an underslung lineshaft and a series of bands and spools. 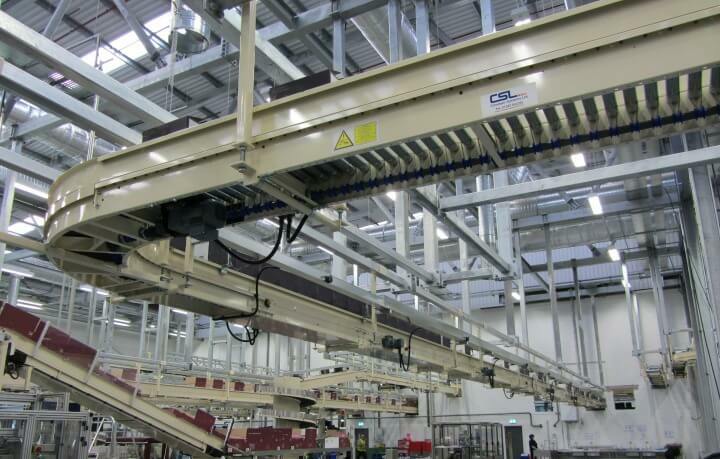 Lineshaft systems can be used with auxillary devices including switch sorters, chain transfers, blade stops, pushers etc. 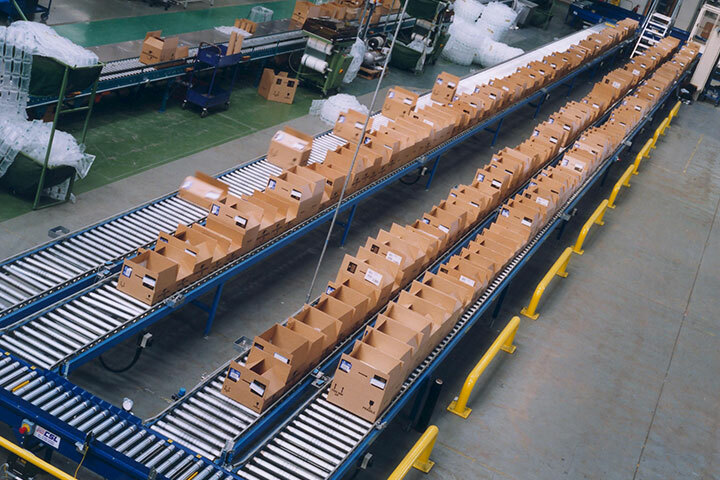 These systems are ideal for cartons, totes and boxes which will not damage with contact accumulation. 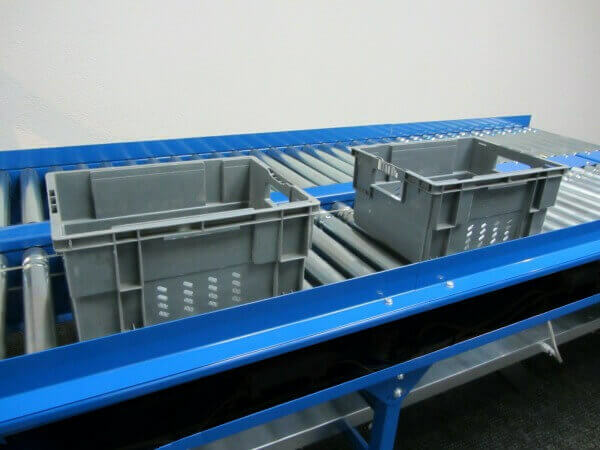 Non-contact, zero pressure accumulation conveyors can be used when handling delicate or varying shapes and sizes of product which need to queued without contact, this will avoid damage or jamming of products on the conveyor. 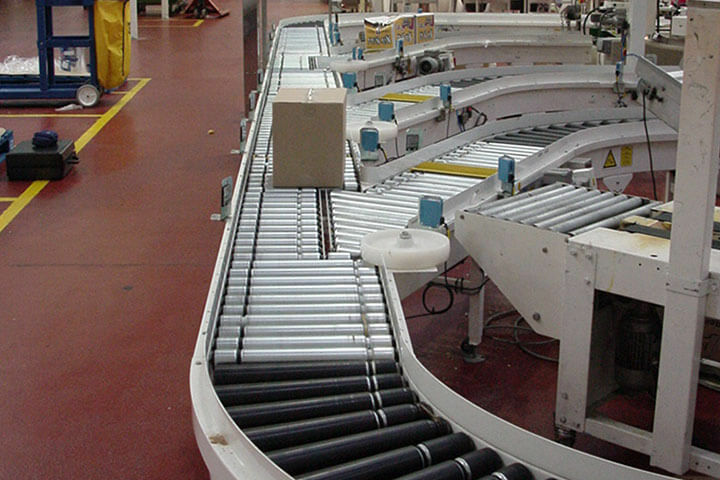 The system works by using small roller zones powered by a single motorised roller connnected to multiple slave rollers with bands, the zone is controlled by a single PEC sensor. 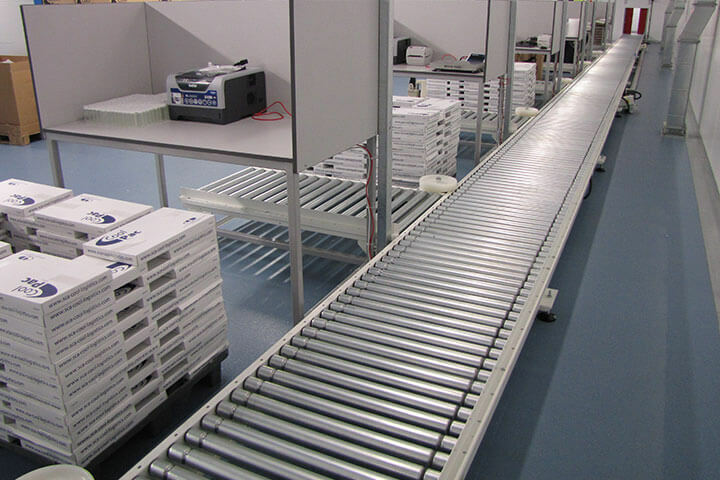 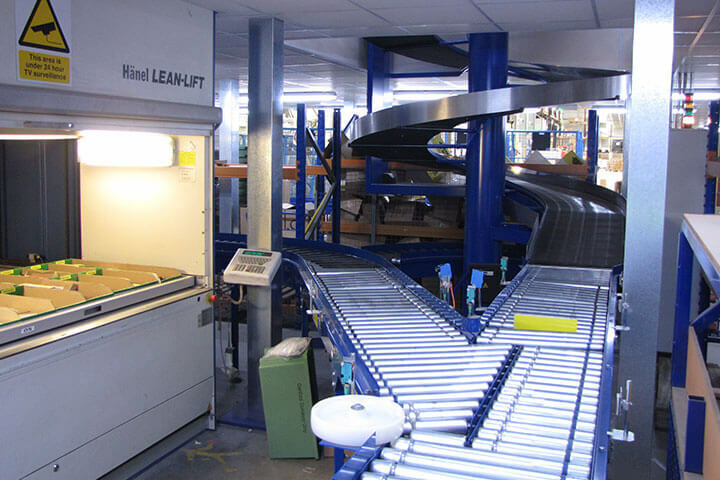 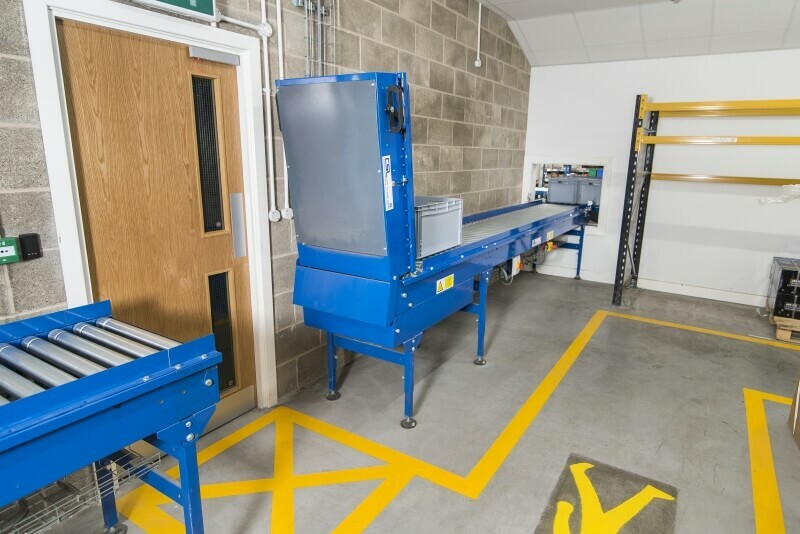 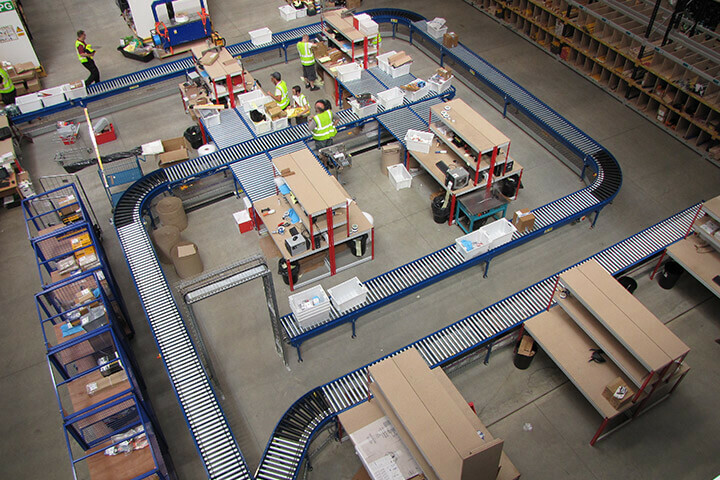 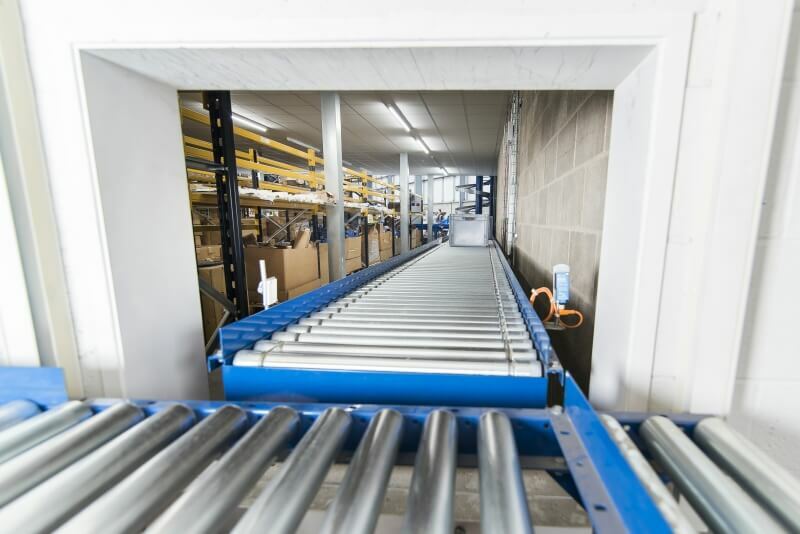 Gravity roller conveyors offer an unrivalled low cost effective way of reducing manual handling, moving goods and speeding up production flow of goods between two points. 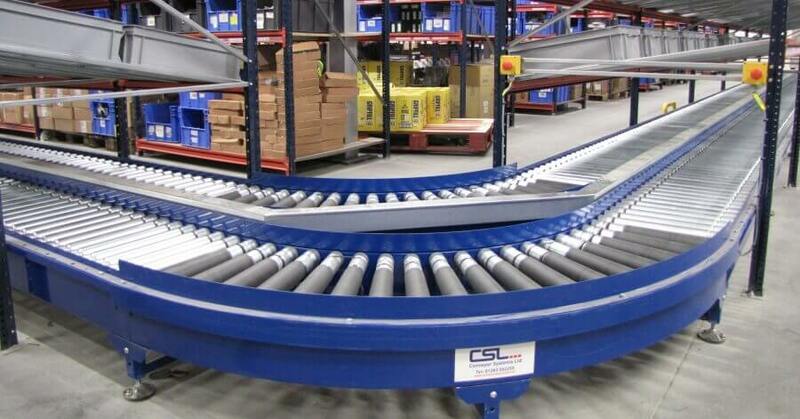 Totally reliable as they are not reliant on power, CSL offer a wide range of conveyor systems available with steel rollers, high-impact plastic rollers, plastic or steel 'skate' wheels and even extra heavy duty steel roller sections. 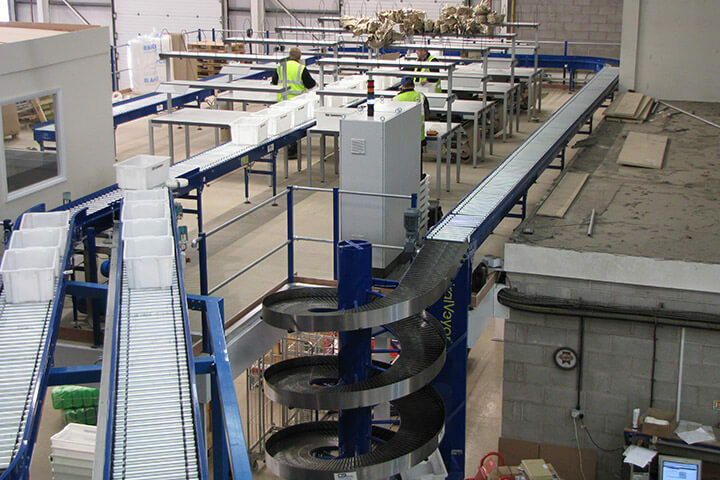 CSL's range of gravity conveyors includes extendable and mobile conveyors which offer flexibility and are ideal for linking assembly plant or packaging machines, warehouses and for loading and unloading of vehicles. 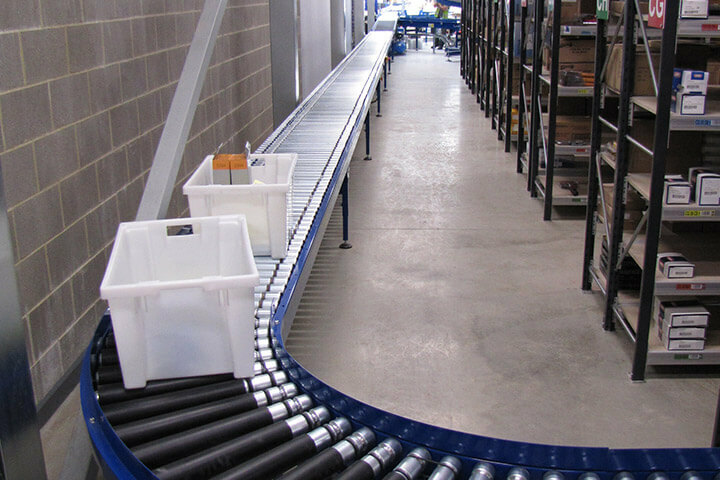 A roller system based on gravity rollers gaining drive from a narrow belt beneath which is in contract with the underside of the rollers. 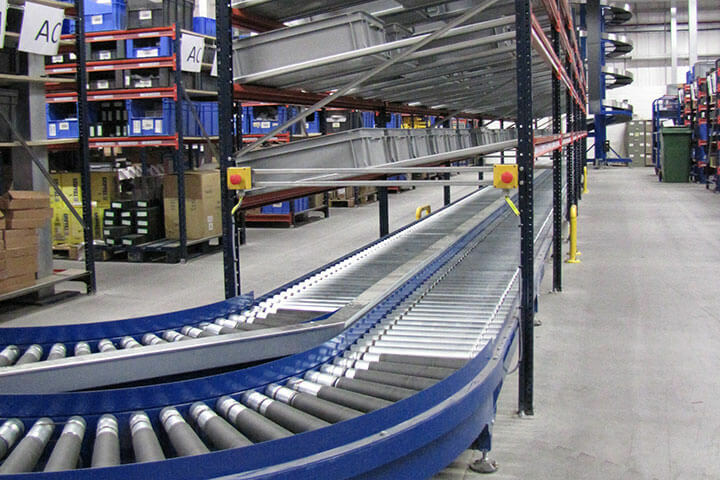 Belt under roller is ideal for medium weight totes/cartons/boxes at high speeds or over long lenghs with a single drive unit.